Abandoned mattresses are a graffiti artist’s dream: street-level billboards ideally placed to expose art and opinions to a society sleepwalking thru life. 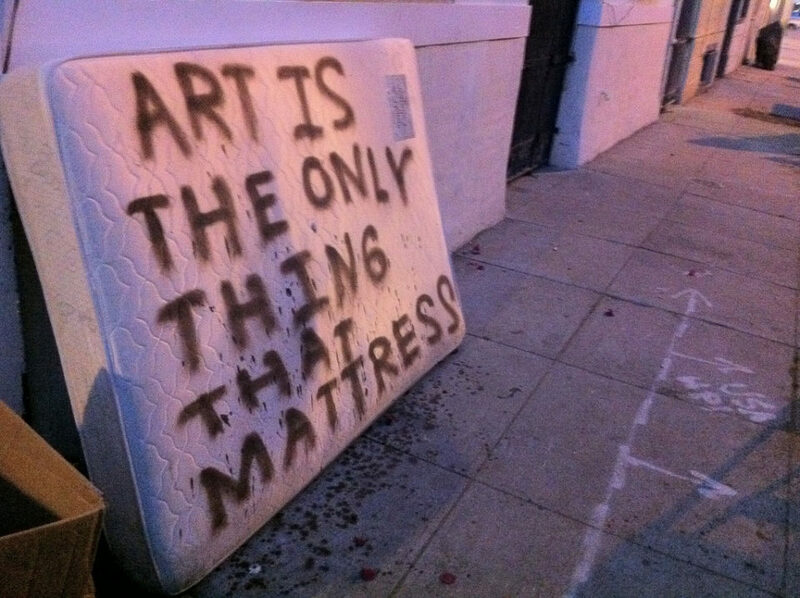 They say nothing really mattress… except Art, and by “they” we mean Flickr members Justin Hall and FunGi_ (Trading). How to reconcile these diametrically opposed viewpoints? Perhaps some sort of fight? One involving, say, pillows? There’s sleeping rough on the streets, and then there’s catching a little shuteye on Chemin du Sang… the “Street of Blood”. 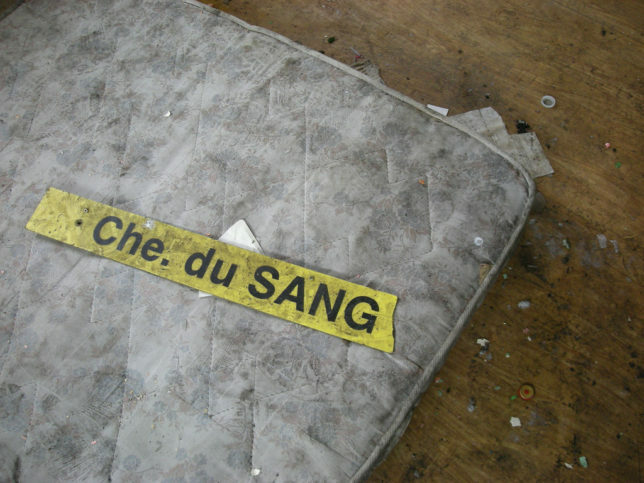 We’re not sure how or why the grotty mattress above was so ominously labeled with what looks like re-purposed police Caution tape but we do know where or when: according to Flickr member Jamiecat*, it was March of 2010 in the southwestern French commune of Vieille-Toulouse. Speaking of sleeping and blood, it would appear someone’s discouraging the re-use of discarded mattresses for some reason. 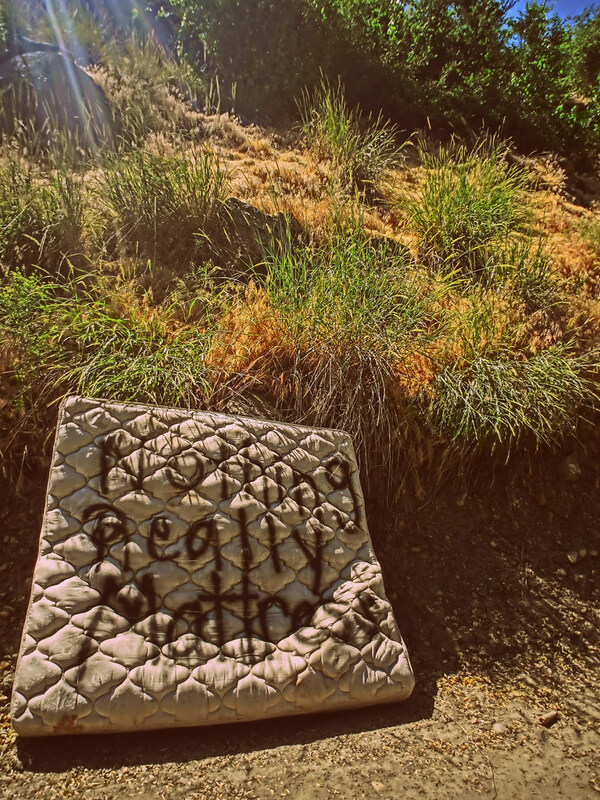 Well, besides the obvious reason which is… it’s a mattress somebody discarded on the street. Creepy-crawly issues aside, the above illustrated item (with “do not remove” tag intact) is the autographed work of street artist Samuel Mark. Cool as we (and Flickr member Philip Bump) thought that might be, we still don’t recommend taking it home and mounting it on the bedroom wall. 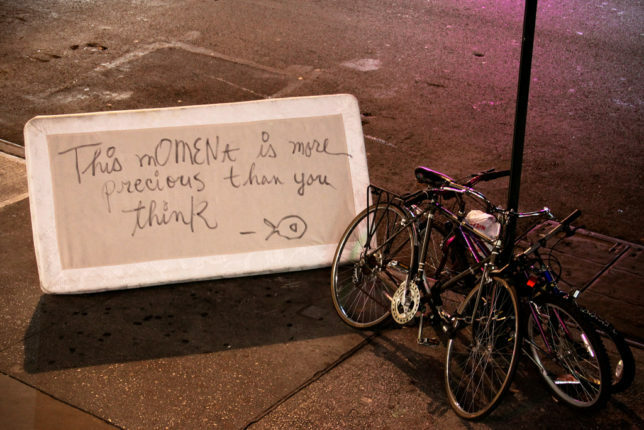 “De La Vega is an artist who has a shop between 1st/2nd on St Marks and regularly tags objects around the neighborhood,” according to Flickr member Todd Shaffer. 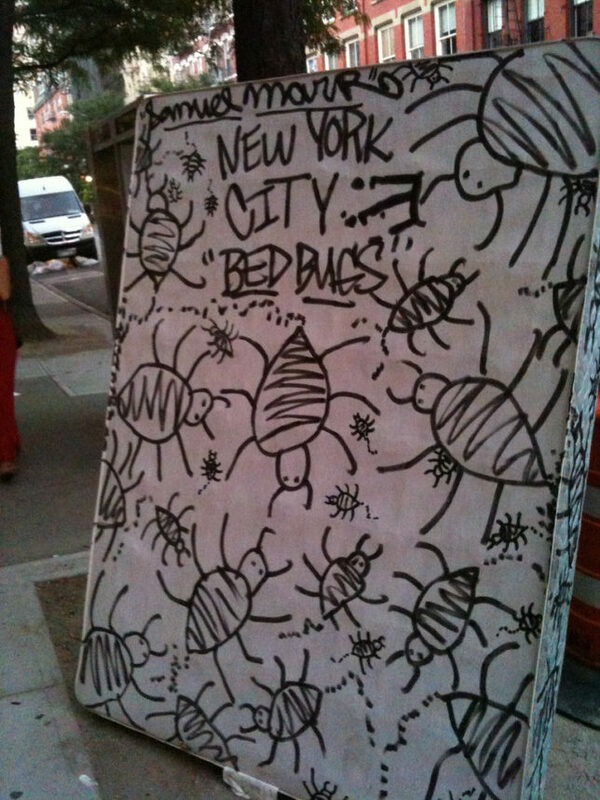 While the artist’s philosophical sentiment and clever use of strategic capitalization is to be admired, it seems certain this NYC mattress’s moment – precious or not – will last only until the next street trash pickup.